Thigh muscles. 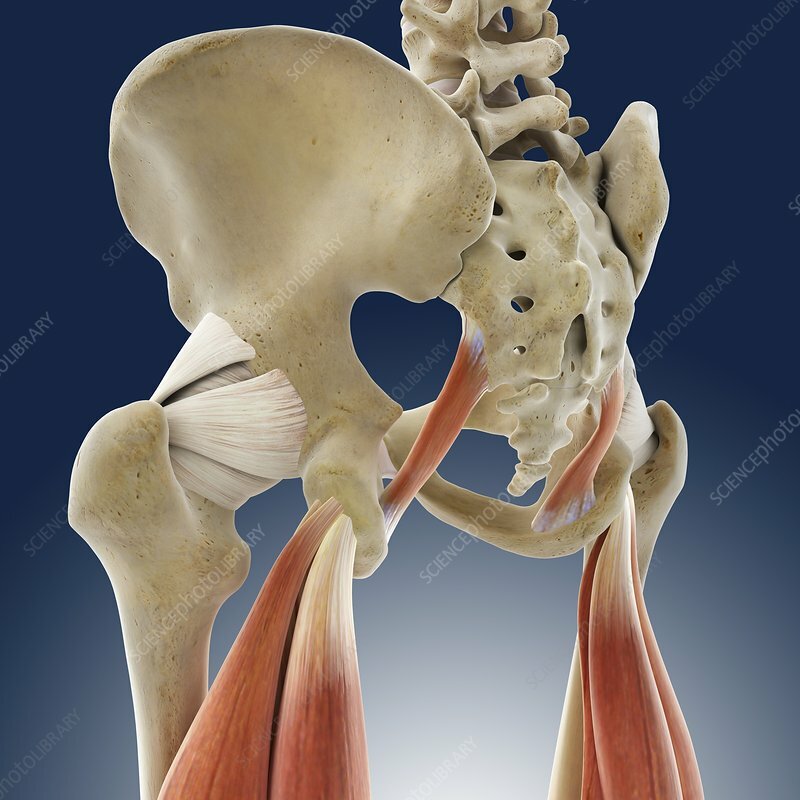 Computer artwork of a posterior view of the hips showing two of the hamstring muscles of the thigh. The outer of the two muscles is the biceps femoris, the inner is the semitendinosus muscle. Both muscles act to flex the knee and extend the hip.